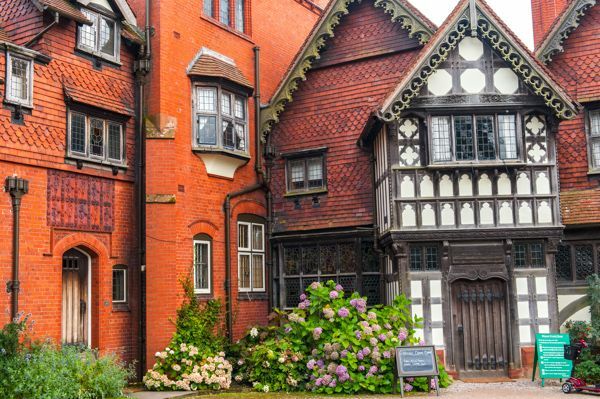 Wightwick Manor s a lovely Victorian manor house in Arts and Crafts style, set in superb gardens. The house interiors feature original wallpaper and fabrics by Arts and Crafts pioneer William Morris, along with Pre-Raphaelite stained glass, paintings, and objets d'art. 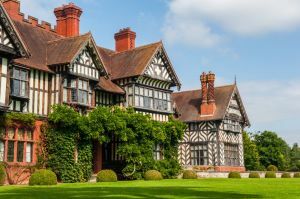 Wightwick is comparatively rare in that it was built and furnished according to Arts and Crafts ideals, rather than simply modified to suit those ideals. The man responsible for its creation was architect Edward Ould, who built it for Samuel Theodore Mander over the years 1887-88. 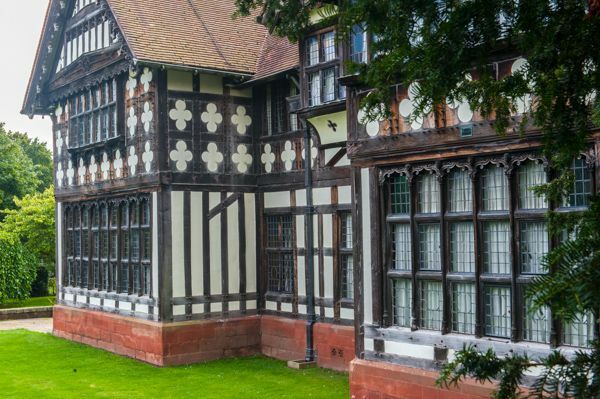 It is designed to a mock-Tudor 'Old English Style', with brick and timber-framed whitewashed walls and whitewashed under a tile roof. The manor stands near the site of an older late 16th-century manor, and the current lodge and barn are relics of the 16th century. 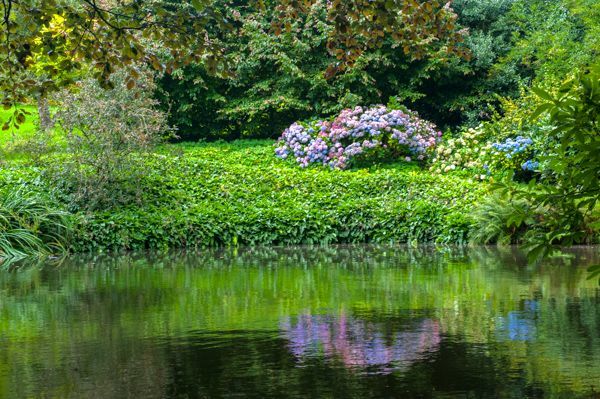 The 17 acres of gardens surrounding the manor are of particular interest; they feature terraces, woodland, and water pools, creating a colourful and attractive setting at almost any time of year. 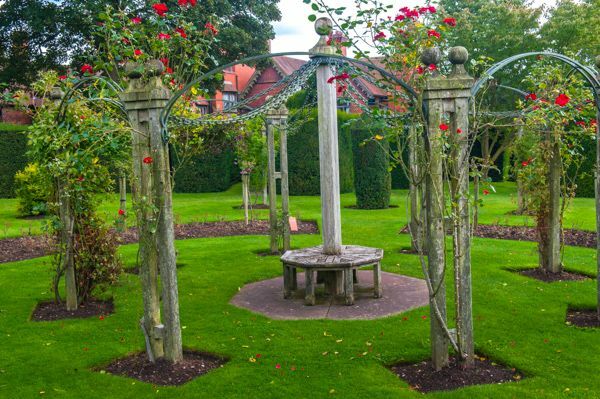 There is a restored kitchen garden in the grounds, and visitors can purchase produce from the garden in the National Trust shop. 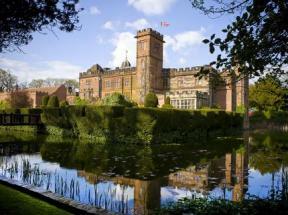 There are regular guided tours of the house and activity days for children. Location: Off the A454 between Wolverhampton and Bridgnorth. For satnavs use WV6 8BN for the National Trust car park.